Does False Sweetener Affect Your Health? Sugar can be addictive for some people, and eating too much sugar can have a negative effect on our health, including weight gain and a number of conditions from type 2 diabetes to heart disease. Most people realize that they need to eliminate sugar from their diet, but the cravings for something sweet don’t disappear overnight, and in order to satisfy them, some people start to use sugar alternatives like false sweetener. There are also a number of different sugar alternatives that are found in diet food and products which are labeled as “sugar-free.” These alternatives often have little to no calories, and less is needed because they taste sweeter than sugar, which makes these sugar alternatives appealing to those trying to curb sugar or lose weight. 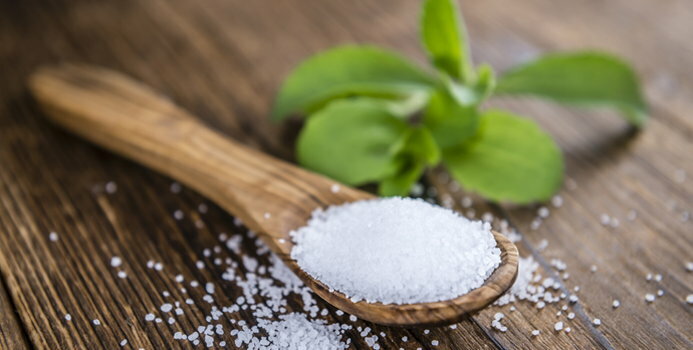 According to Mayo Clinic, possible health benefits of false sweeteners include weight control, the fact that they don’t spike sugar levels, and they do not contribute to tooth decay or cavities. However, there are potential health concerns with sweeteners, and the publication notes that for decades critics have claimed that these products can be linked to a number of health problems. A study in the 1970s linked THE artificial sweetener saccharin to bladder cancer in laboratory rats (although studies have not shown evidence that suggests a link to cancer in humans). However, the FDA regulates artificial sweeteners, and when used in moderation they are thought to be safe. The publication also notes that “according to the National Cancer Institute and other health agencies, there's no sound scientific evidence” to suggest that those products approved in the United States could cause serious health issues. According to Harvard Health, the artificial sweeteners approved by the FDA are saccharin, acesulfame, aspartame, neotame, and sucralose. It has also approved Stevia. A concern with false sweeteners is that they can trick us into thinking that sweetness is not calorific and as a result, we would crave sweeter foods over those that are nutritious. Sweetener can also change the way we taste food. “Overstimulation of sugar receptors from frequent use of these hyper-intense sweeteners may limit tolerance for more complex tastes,” Dr. David Ludwig, obesity and weight-loss specialist at Harvard-affiliated Boston Children’s Hospital, told Harvard Health. Medical Daily also notes that those who consume high amounts of diet beverages can also be susceptible to health issues, including metabolic syndrome, and hypertension and cardiovascular disease. It seems moderation is key, and not all sweeteners are made equal. There are some naturally sweet alternatives, and according to Healthline, some of the recommended options include Stevia (extracted from the leaves of the Stevia rebaudiana plant), Erythritol, which is found naturally in fruit, and Xylitol, which is also found naturally in fruits and vegetables.